I can appreciate all forms of motorsport. Hey, people want to go fast, so even if you’re racing lawn mowers, I’m cool with it. That said, I’m not much of a Nascar fan, and before you go flipping your lid, yes such people do exist in the United States. However, I am a fan of going to Nascar race weekends and having that experience, because while it’s positively boring to watch on television, it’s absolutely insane to experience in person. As someone who’s been fortunate enough to attend races as both a spectator and in sponsorship roles, standing 20 feet from 20 cars going 200mph is something any petrolhead will absolutely, positively remember forever. 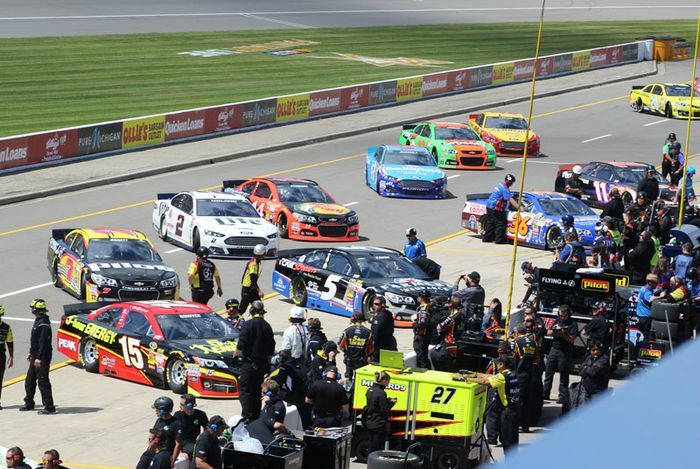 Nascar is such a motivating force in the American auto industry that Ford, GM and Chrysler all share a slogan: win on Sunday, sell on Monday. Or at least that’s how it used to be, back when the cars mattered as much as the drivers. This video of the good old days pretty much sums it up while delivering some good ‘Murican feels. Sadly, that brand loyalty has disappeared because Nascar rules pretty much require all the race cars to be the same - no individuality aside from stickers that differentiate the models. Nascar television ratings and fan interest has been decreasing for years, and as far as I’m concerned, this is the main reason. Nascar stock cars were never really showroom stock, but today’s cars aren’t even close to resembling their every day siblings. And that matters to people. That’s why I want to pay homage to this definitive American motorsport by recognising some of the great cars that helped shape Nascar. It’s also why I’ll point out the cars that ruined it, and cars that could save Nascar from itself if lessons from the past are learned. 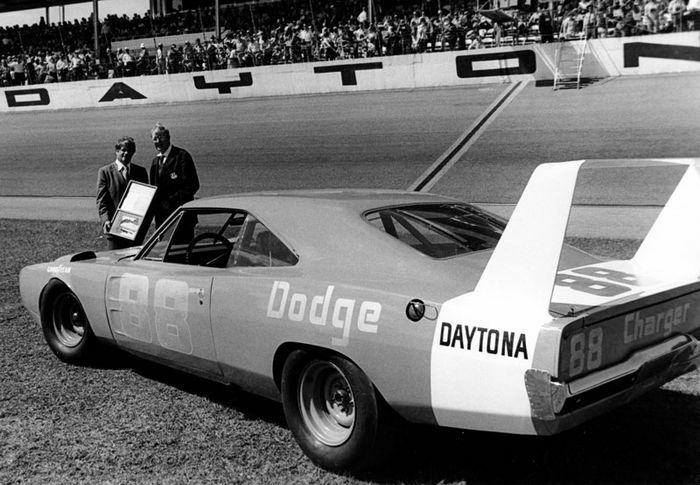 You simply cannot talk about Nascar without mentioning the winged twins from Chrysler’s two divisions - Dodge and Plymouth. Outfitted with aerodynamic nosecones and outrageous spoilers, these were the first cars to break the 200mph barrier in Nascar. They only ran a couple years and were so epically awesome that Nascar rewrote the rulebook to kick them out. 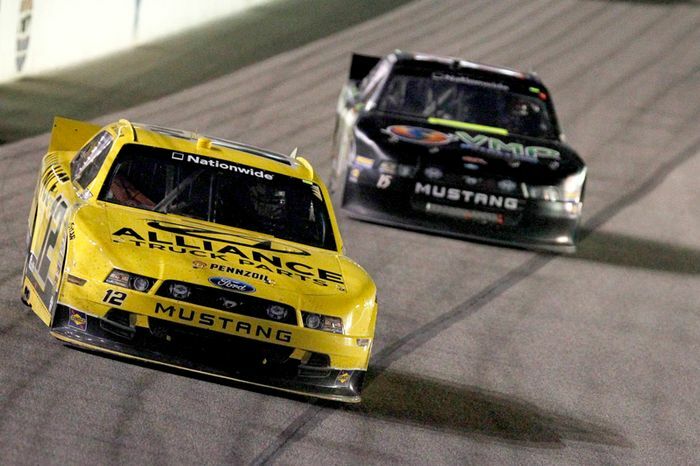 Some consider this the golden age of Nascar - I consider it the first major indication of bad things to come. From the shortest run to the longest - Monte Carlos raced in Nascar for no fewer than four decades. But it was the 1980s where the Monte Carlo became famous in Nascar, particularly with Dale Earnhardt Sr., one of Nascar’s greatest and most notorious drivers. Sadly, as GM abandoned rear-wheel drive, the Monte disappeared only to come back a few years later as a two-door version of the revamped front-wheel drive Chevy Lumina. 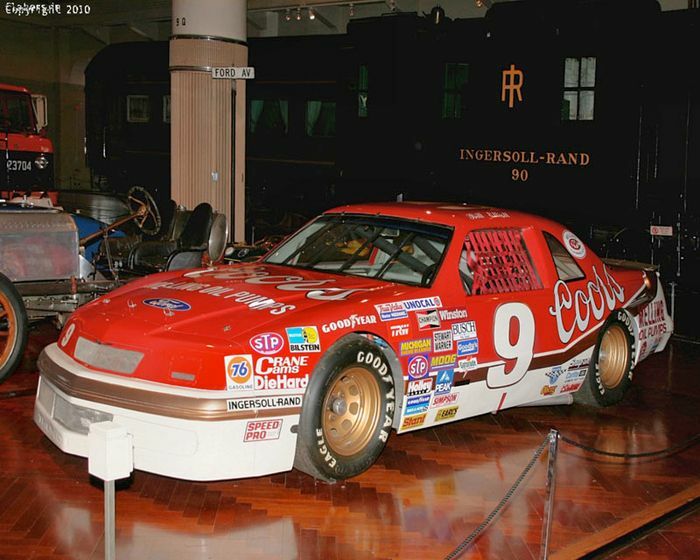 Blue Oval Nascar aficionados might favour the Torino Talladega that competed against Chrysler’s winged cars back in the day, but the Thunderbird was a dominating force in Nascar throughout the 1980s and 1990s. Nascar legend Bill Elliott still holds the record for the fastest qualifying lap at Daytona in his 1987 Thunderbird, but beyond that, the T-Bird was the last proper stock car in Nascar. In 1997, Nascar fans could go to a Ford dealership and buy a similarly styled, V8-powered Thunderbird with rear-wheel drive. That all changed in 1998 when Ford kicked the Thunderbird to the curb, and that leads me to the two main cars that ruined everything. 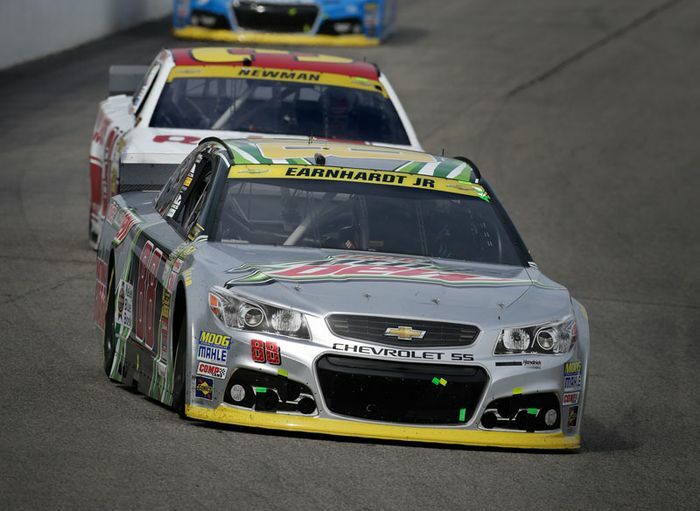 Since its inception, Nascar was all about staying relatively true to production-based cars. The 1988 Pontiac Grand Prix with its front-wheel drive V6 platform was technically the first car to deviate from that formula, but when Ford replaced the Thunderbird with the four-door Taurus in 1998, the race car looked nothing like the production version. Nascar had become insanely popular by this point, but trying to morph a four-door sedan into a two-door shape was a huge mistake for a racing series supposedly base - albeit loosely - on production vehicles. And sadly, it set a trend for things to come. My dislike of the Camry in Nascar has nothing to do with a Japanese manufacturer entering an American auto racing series. Rather, I see it as the culmination of the trend in removing any sort of stock from stock car racing. 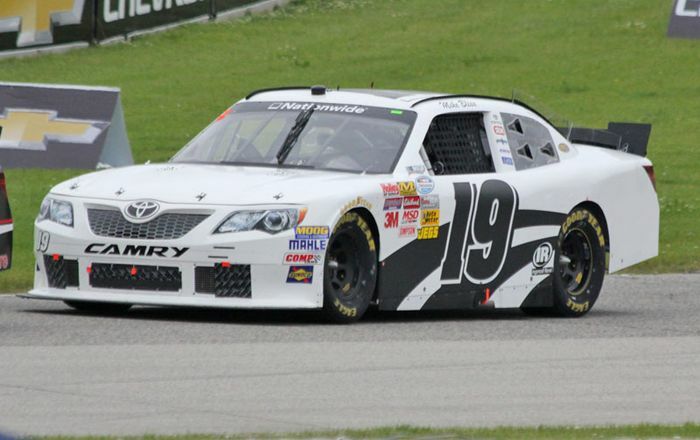 Things had become so homologised in Nascar that in 2007 Toyota decided to go racing with the least likely race car of them all, the Camry. You’ll never convince me that anyone has bought a Camry because they see Kyle Busch racing something with Camry stickers in Nascar. But 30 years ago I can absolutely see someone buying a Monte Carlo SS because it looked like the car Dale Earnhardt drove. Are you listening Nascar? Ford? GM? Chrysler? And that leads me to the future. Though still vastly different in appearance from its factory showroom counterpart, the V8-powered rear-wheel drive Chevrolet SS (AKA Holden Commodore) offers Nascar fans the opportunity to once again own something at least remotely similar to what they see on the track. Yeah it’s still a four-door with a cookie-cutter shape, but it’s a step in the right direction. Just look at the Australian V8 Supercar series - let’s get individual designs back to cars people care about and maybe we’ll get Ford versus Chevy fistfights in the stands instead of Nascar drivers throwing helmets in the pits. Curiously enough, these cars do run in Nascar’s Xfinity (formerly Nationwide) Series - the next step down from the Sprint Cup - but not in the top group. 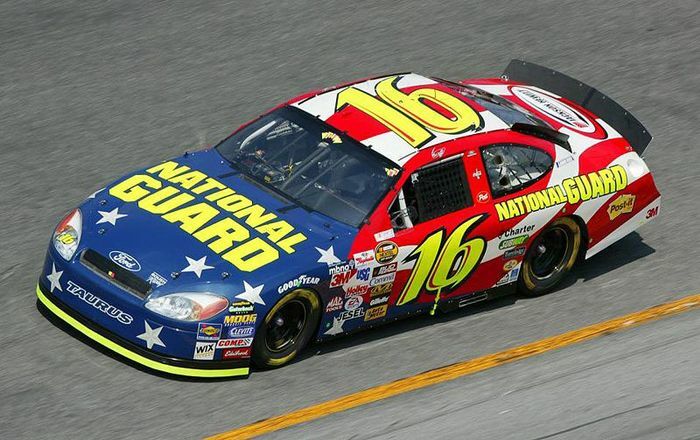 Though still clearly styled to Nascar templates they at least bring back a bit of commonality to their road-going siblings, and that could also bring back some brand loyalty to the sport. Let manufacturers compete against one another not just with drivers, but with actual individualised cars as well. You know, the way it used to be. That would certainly make win on Sunday, sell on Monday mean something again. 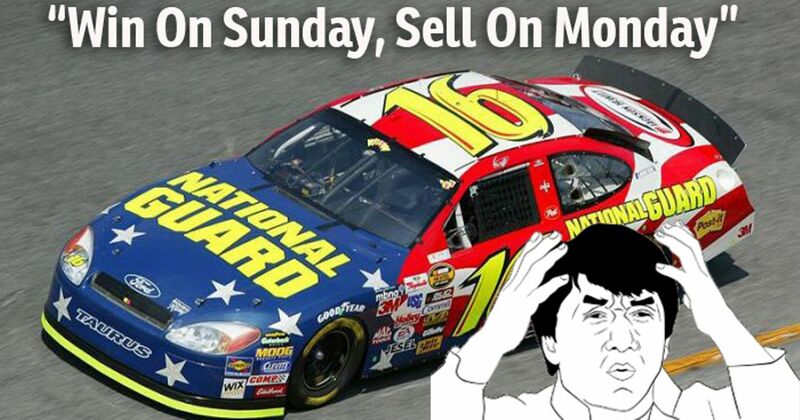 And it just might save Nascar’s future in the process.